Georgia has a rich musical heritage and is the home of many of the foremost performing artists of the present and past. They Heard Georgia Singing provides brief biographies of the men and women who have made major contributions to Georgia musical history either as natives or as personalities within the context of Georgia music. 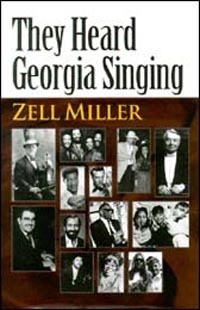 No ready reference work existed on the personalities who brought Georgia to musical greatness until Zell Miller compiled and wrote this valuable and comprehensive work.